It seems like ages since I last worked on this quilt. We had a two-week family holiday at Easter-time, and last week I had to catch up on real life. This week I’ve been in a baking frenzy because I found this wonderful blog, Confections of a (Closet) Master Baker, and I just had to try out some of the gorgeous free recipes. Yum! Anyway — back to quilting! It’s time to get serious about this baby. I’ve laid out all the pieces, trying to remember where I was when I stopped. Thank goodness I have a print-out of the instructions so I can mark off the steps I have completed. I should have thought of this the first time around, but — live and learn. Someday I will be truly organised. This is going to look so lovely! I can’t wait! PS. I went to your blog this morning thinking I had missed your posts!!! I’m addicted to seeing this baby finished. ha! Okay—there’s a saying, right??? Something like….. In like a lion, and out like a lamb? Or…..in like a lamb, and out like a lion? Or….the early bird catches the worm…. Needless to say; May is almost here and I have yet to cut my “Too Good to Cut” challenge. OH NO! Fear not—fear not—SOMEDAY soon (June???? ), that fabric will see the rotary cutter!!! Glad to hear your vacation was fun. 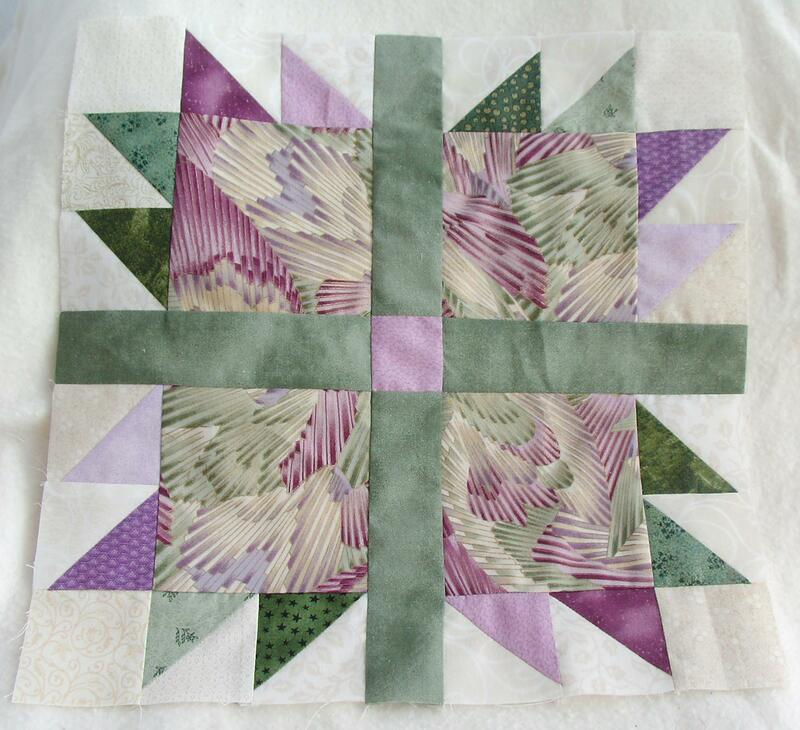 My top is pieced, but not quilted. So you will probably pass me, I’m like the rabbit and the tortoise, my rabbit ran out of energy. Nothing like waiting for half the year to go by before actually starting the Too Good to Cut Challenge…!!!! I cut all the fabrics and started slowing piecing the first blocks. Hopefully the progress will soon be quicker….